ST. LOUIS - Barge operators along a key stretch of the Mississippi River braced Monday for months of restricted shipping as crews prepared to begin blasting large rock formations impeding navigation on the drought-plagued waterway. Contractors could begin drilling holes into troublesome river bedrock south of St. Louis and detonating explosives as early as Tuesday, the Army Corps of Engineers said. Demolition of the massive formations near Thebes, Ill., coincides with an unusual move by the agency to release water from a southern Illinois lake, adding a few inches of depth to a river that is getting lower by the day - largely because of the lingering effects of the worst drought in decades. The corps said a six-mile stretch will be closed to shipping starting Tuesday from 6 a.m. to 10 p.m. Barges seeking passage will have to wait for an eight-hour window when the stretch will be open. The project was to have begun in February but was expedited at the behest of lawmakers from Mississippi River states. Mike Petersen, a corps spokesman, said it was confident it could complete work by the end of March. The rock typically would be beneath sand on the river bottom but has been exposed by the corps' dredging efforts. On Saturday, the corps began releasing water from Carlyle Lake into the river in hopes of providing six inches of depth by Christmas Eve, enabling barge traffic to safely pass the rock. "Inches make a difference," said Gen. John Peabody, Mississippi Valley Division commander. Months of drought have left water levels up to 20 feet below normal along a 180-mile stretch from St. Louis to Cairo, Ill., fanning concerns among barge operators that river use soon may be dramatically restricted if not shut. The problem worsened last month, when the corps cut the outflow from an upper Missouri River dam by two-thirds. 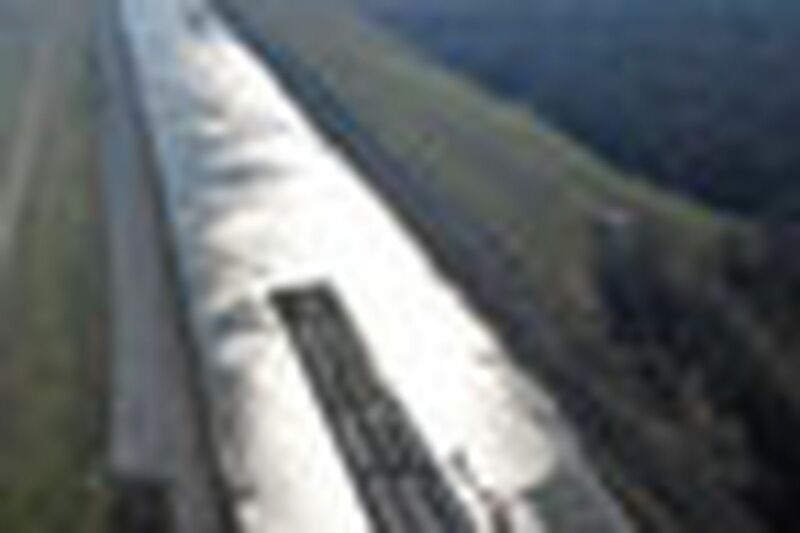 "The release of a modest amount of water from Missouri River reservoirs during the time this rock-pinnacle work occurs remains essential to allowing the continued movement of our nation's basic commodities, especially during this critical export season," said Michael J. Toohey, chief executive officer of Waterways Council Inc., a river-trade industry group. Trade groups say a prolonged stoppage of shipping on the Mississippi could have an economic impact reaching into the billions of dollars. Agricultural products, coal, petroleum, and other goods rely on the river for transit.